This year marks the 50th Anniversary of Mazenod College in Mulgrave. Our Golden Jubilee is a unique opportunity for the College Community and extended families to REMEMBER – CELEBRATE – BECOME; we remember who we were, celebrate where we are, and continue our own legacy for what Mazenod is to become. From its humble beginnings in February 1967 with only two classrooms at Springvale’s St Joseph’s Primary School to the large campus that now houses over 1200 students, there is much to be remembered. While Mazenod officially opened its doors in 1967, it was not until 1968 that students and staff actually moved to the Kernot Avenue location. Students started at the current site in June 1968 with only the one building and a lot of mud. 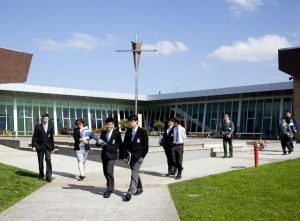 Since then the College has continued to grow; with a new administrative wing and gymnasium built in the 70s and a new arts complex, library, and senior wing in the 80s. In the 90s the chapel was added, the staff area was renovated, and the computer centre was opened to accommodate the new technologies that were emerging from the decade. With the dawn of the new millennium we have continued to develop and improve the school grounds, adding the Founders’ Complex, the Provence Centre (a state-of-the-art sporting complex), and an oval refurbishment. There is much more to come. The buildings are only one indication of our successful growth over the last 50 years; our real strength will always be found within the community. Mazenod College has faithfully served the needs of the local Church in the Eastern Suburbs, helping to nurture our young men intellectually, physically, morally and spiritually. In 2017, the College has held several special events to commemorate this milestone, including the Mission Action Day Community fundraising event and the Founder’s Day Sports Carnival, which took place in March and May respectively. The Founder’s Day Sports Carnival was an incredible way to recognise Mazenod College’s 50th year, made even more wonderful by our Old Boys Sporting Clubs of AFL, Soccer, Volleyball and Cricket joining together to hold a magnificent sporting extravaganza. This was the first time that the three Old Boys teams had competed against each other at the place where the careers of our many sporting champions began, allowing them to come together and reminisce, support, and celebrate the achievements and the most enduring legacy of the school and of each other. The next Golden Jubilee events on our calendar are an Assumption Day Mass and 50th Anniversary College Speech Night, which will be attended by 50 past school captains. One lasting symbol of our vision and our celebration of this milestone will be the renovation of the Mazenod Chapel. The Chapel is at the very heart of our Community, of our vision, and of our day-to-day life at Mazenod College. This redevelopment will feature a new memorial garden for deceased Old Boys, and an increased seating capacity. When all the celebrations of the 50th Anniversary are finished at the end of 2017, the Chapel will remain as a reminder of our past and challenge us to continue into the future as we strive to – Remember – Celebrate – Become. As we celebrate our 50th Anniversary, we know that Danihers Facility Management will be right beside us helping the Mazenod Team create an environment where staff and students can focus on learning and growing. Every day the Danihers team take pride in their work and are always friendly, well presented and approachable. They are reliable, responsive to our needs, as well as being meticulous about the way they present our classrooms and grounds. 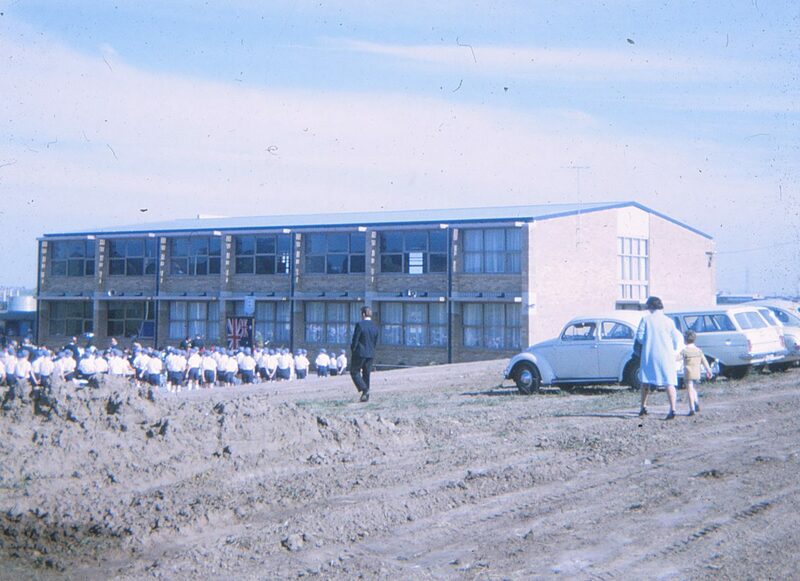 Attending assembly at the first Mazenod College building in 1968. 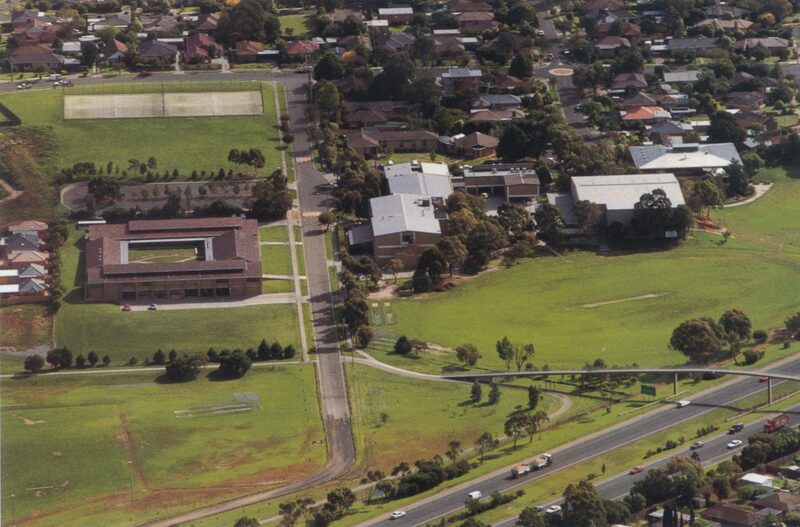 Aerial view of the manual arts wing at Mazenod College in 1984. 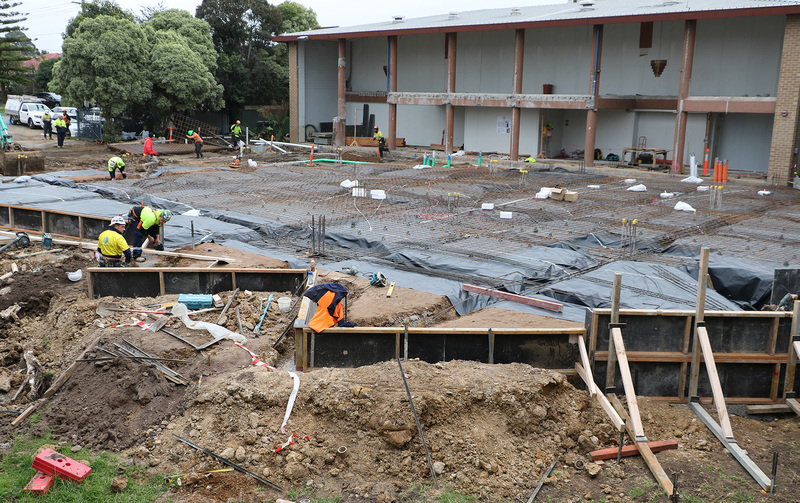 In 2017, laying the foundations for the new library and Years 11 and 12 classrooms.